c) their semantic and pragmatic value for the expression of negation. 15h15-16h15 Gary Morgan (City University London) Comparing co-speech gestures and sign languages in children and adults How do children learn the rules of a signed language from different types of input? 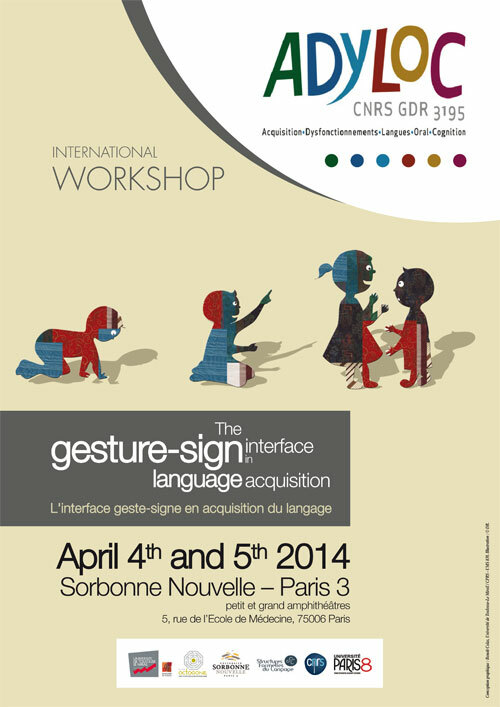 What is the function of gesture in sign language development? There are a lot of similarities between gestures and signs but also important differences. By studying the overlap between these two visual-manual systems we can explore language acquisition and language evolution. We compared child signers with deaf and hearing parents and document how early gestures and signs become organised into a language system.